It is easy to see how unwavering denial, in the face of overwhelming evidence, only equates to foolishness. Yet up to this point, this is exactly what the scientific establishment has done. Perhaps no other subject has been more firmly and blindly denied than the possibility of an alternative history of the asteroid belt. Up until this point, mainstream scientists have been largely unwilling to waver from their rigid stance that the asteroid belt was ever anything other than a ring of rocks meandering around our sun. Yet for some reason, suddenly in 2018, the scientific establishment is now accepting alternative history as though it is an elementary truth. What happened? The truth is that this subject of the alternative history of the solar system has been a regular topic of discussion in alternative communities for years now. Although mainstream science is now claiming the belt used to be several planets whereas alternative theories propose that the belt was one large rocky planet, the shift within established science toward alternative history seems clear. According to alternative historical narratives of our solar system, the asteroid belt used to be a super-Earth-like planet which ancient peoples of Earth called Maldek (or in some cases, Tiamat). This planet had a number of moons, the largest of which was the planet Mars. This possibility can actually be observed in the fact that Mars is deformed just as a tidally locked moon would be. In other words, one side of Mars is actually bulged out as though it was locked in the same position around a large planet several times its own size. Both Mars and Maldek are believed to have been inhabited by highly advanced civilizations. However, instead of cooperating, these two civilizations went to war with one another, and in the process of the war, both Maldek and Mars were destroyed—Maldek being completely obliterated and Mars being stripped to the bedrock. Both planets had millions of refugees which fled the disaster and ended up settling on ancient Earth, according to the alternative version of history. This is where the following article picks up. Within this post from Exopolitics.org, Dr. Michael Salla gives a detailed explanation of the history of the solar system, according to whistleblower and experiencer, Corey Goode and ET contactee, Alex Collier. Goode says that the smart glass pads he read during his 20-year service with different secret space programs from 1987 to 2007 provided two explanations for the moon’s artificial nature. One was that it was a hollowed out natural moon, and the second was that it was a giant orbiting space station. Goode then says that waves of refugees from the Super-Earth began arriving on Earth during different stages in the period spanning the former planet’s destruction. One of these waves was associated with the arrival of the Moon that was teeming with refugees. 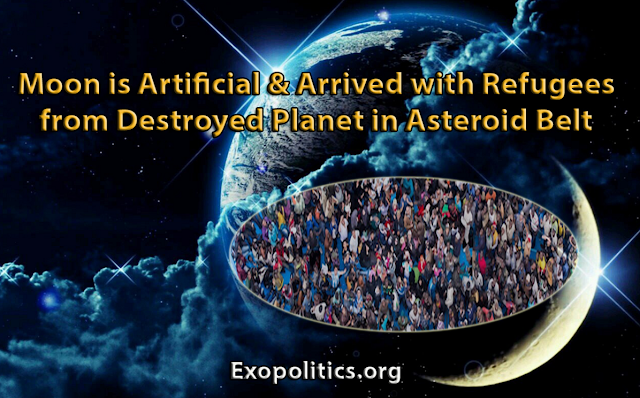 There are numerous helpful resources within alternative media which we can consult for various possibilities of the history of the Earth and the solar system. These vary quite significantly in scope and possible significance, but in general, a good variety of research material can assist us in expanding our perception of reality. It will be interesting to see where the MSM directs the disclosure narrative next. These news sources have a way of continually surprising audience members (including those in the alternative community) with how blatant and yet vague their disclosures are regarding subjects which, in the past, have been treated as highly coveted secrets. So far, the narratives have been plentiful—so plentiful, in fact, that it seems safe to say that disclosure is upon us. The question is, "What type of disclosure is happening, and who is behind it?" According to testimony, the MSM disclosure narratives may involve some attempt to use ancient ruins unearthed in Antarctica to disclose alternative Earth history and eventually, to reveal the existence of crashed ET spacecraft and technology. These partial disclosures might also involve the Catholic Church attempting to portray ET as the center of some new religion. Another possible narrative might further include a mission to one or more planetoids and moons within our solar system where astronauts would reveal the existence of ancient ruins. This may involve some level of disclosure of advanced military craft with space-travel capability. According to sources, this technology may be used to travel to various locations in the solar system to eventually disclose evidence of advanced ETs from the ancient past. Although none of these narratives have come forward in their completion, it very much appears that the media is slowly suggesting various aspects of these narratives to the public. Hopefully, these revelations will remain provable and reliable in the principles they address. The reason we cover the above subject of the moon's possible origins (in its artificiality) is that the topic appears to directly relate to the narrative which the corporate media is subtly hinting at through recent announcements. 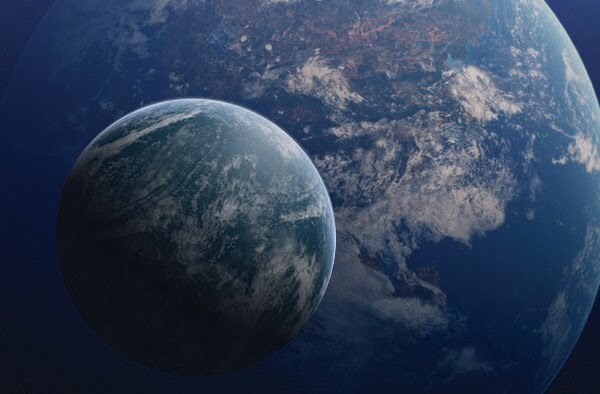 If this is the case and the MSM is suggesting that the ancient solar system included a tenth super-Earth-like planet, we may want to prepare ourselves for a number of revelations regarding further apparent changes to human history. In the coming weeks and months, there may be further hints toward the above narratives, in the form of talk of burial mounds which contain unusual remains, ancestors of modern humans which had abnormal features, or other suggestions of extraterrestrial influence in ancient Earth civilizations. There may come a point when certain archaeological expeditions conveniently unearth evidence which suggests that ancient Earth was filled with multiple different types of humans and not simply the two major species we've been taught in conventional science. Additionally, the corporate media could actually present imagery from some mission in outer space that includes recent encounters with UFOs. They may also revisit the cylindrical asteroid, Oumuamua, or they might discuss other matters which would propel the planned partial disclosure forward much faster than anyone has anticipated thus far. These are a few possibilities for the next installments of partial disclosure by the MSM. However, there are a variety of narratives these sources might choose. For further consideration, the video below recounts some of the early testimony from Corey Goode regarding the alternative historical account of our solar system. This serves as a helpful frame of reference for one of the many possible directions the MSM disclosure might take.